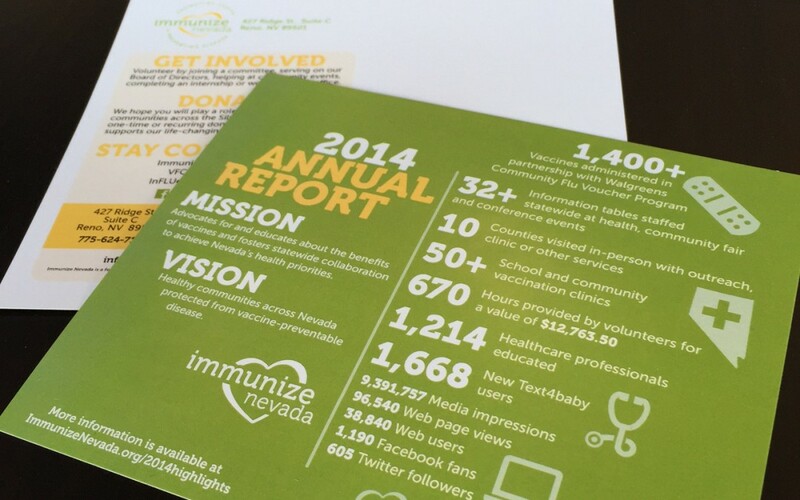 Hot off the presses is the Immunize Nevada annual report. This year they asked 509 Creative to design postcard with an simple clean infograph style to convey their stats. Pretty impressive what this small group does for the state of Nevada. If you don’t know about them or their mission check out their website here.